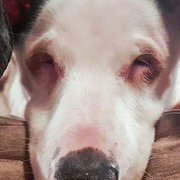 It was on July 4 last year when a puppy who would come to be called Libre was first found; he was in such a terrible state, veterinarians initially thought the only thing to do was to put him to sleep. Fast forward a year, and not only has Libre survived — he's actually helped make the world a safer place for animals. 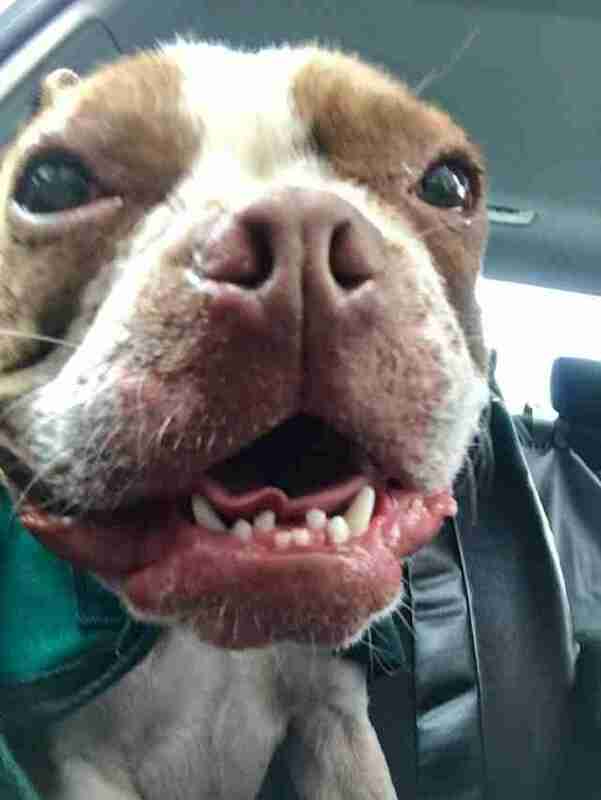 Suffering from such a terrible case of mange that maggots were on his skin, the Boston terrier was living on a farm in Lancaster County, Pennsylvania, where dogs were being bred when a produce delivery man spotted him and knew he had to help. He alerted rescue groups and eventually Libre was brought to Speranza Animal Rescue and the Dillsburg Veterinary Center for treatment. Vets fed the 7-week-old puppy wet dog food by hand to help him become stronger. "If he didn't have the will to live, he would have died a week ago," the rescue wrote on Facebook. "He deserves a shot at having a life. He deserves that shot at being a normal dog someday." Libre did not become a normal dog — he became an extraordinary one. 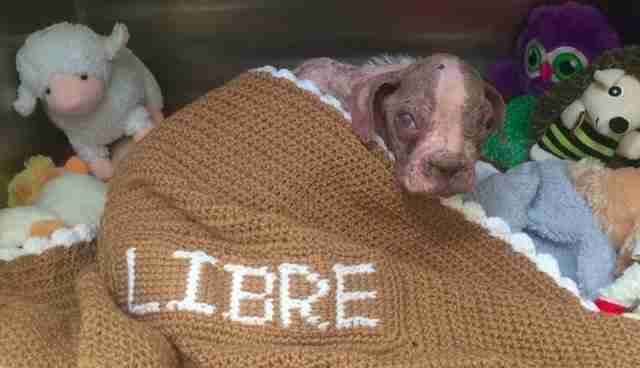 Thanks to the love and care of his rescuers, Libre was able to rest and recover under a blanket made just for him. As he was recovering, people everywhere started to follow his story. And they were outraged when they learned that the former owner of Libre wouldn't be prosecuted for how the little puppy was treated. But Libre just kept getting stronger. He soon was standing up on his own. And soon after that, he was walking and playing. Janine Guido, the founder of Speranza Animal Rescue, decided to adopt the little dog herself. But having a forever home wasn't enough. Guido and Libre decided to campaign for tougher laws against animal cruelty in Pennsylvania. And this week, that dream became a reality. 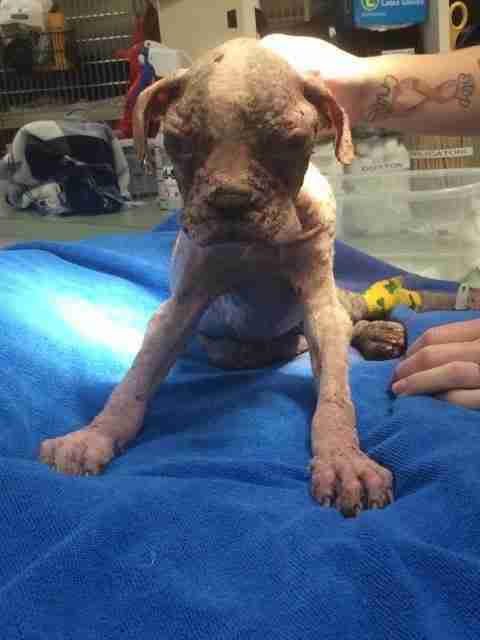 "No one should be allowed to get away with cruel animal treatment. 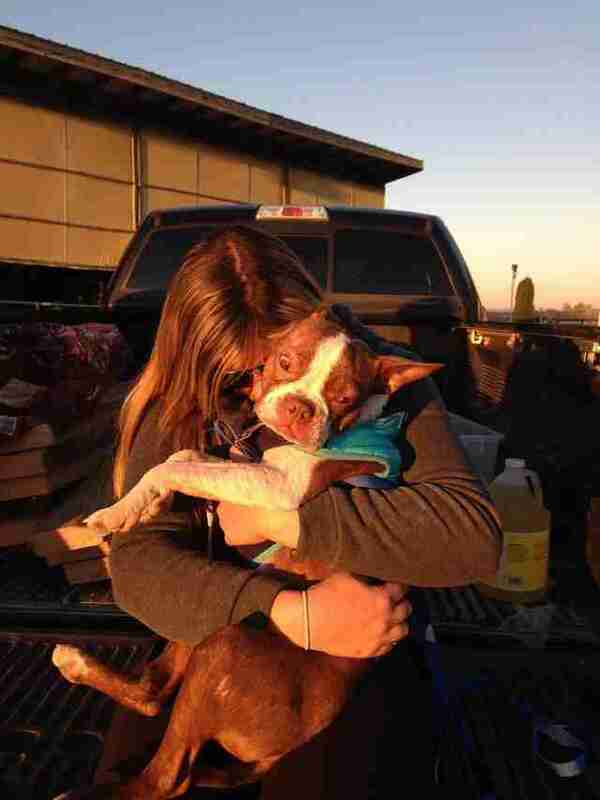 No one should be allowed to get away with the neglect of animals," Pennsylvania Governor Tom Wolf said when he signed Libre's Law, which increases penalties for animal abuse in the state. Libre's paw print was placed beside his signature. "Now thanks to this statute, they won't be able to get away with it." Libre leapt up and planted a sloppy, well-deserved kiss on the governor's face. To help Speranza Animal Rescue save more animals like Libre, you can make a donation.